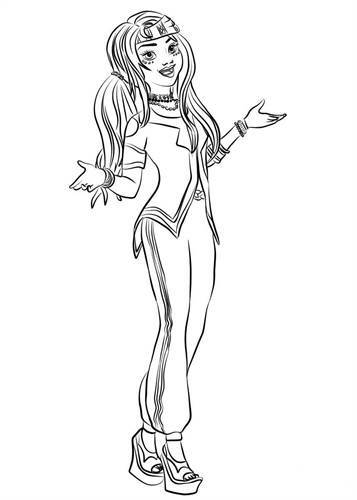 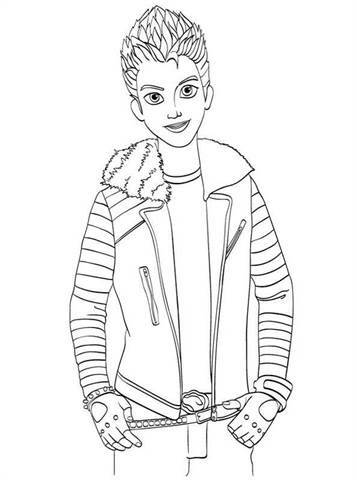 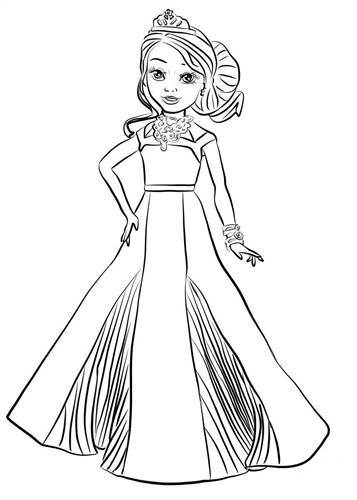 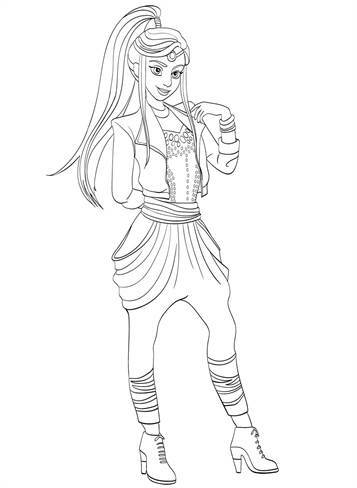 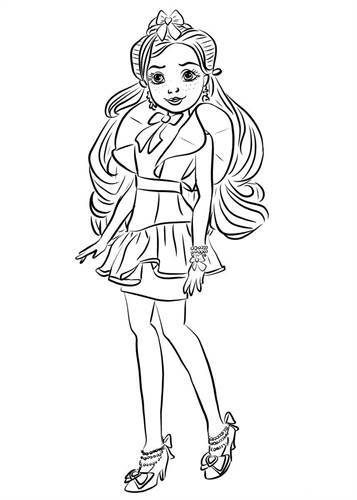 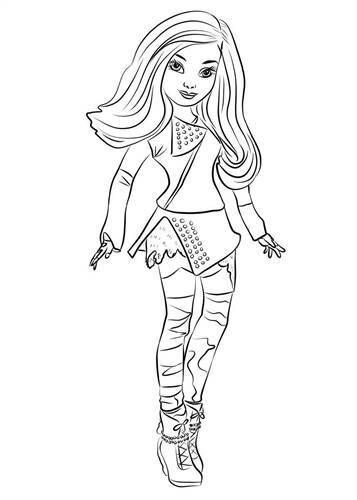 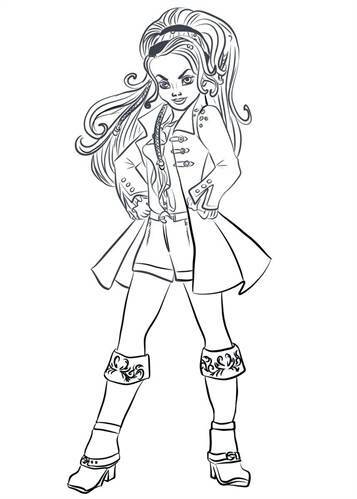 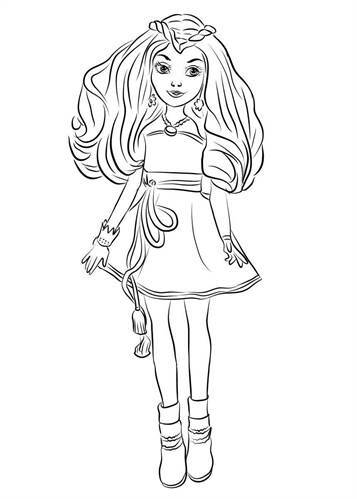 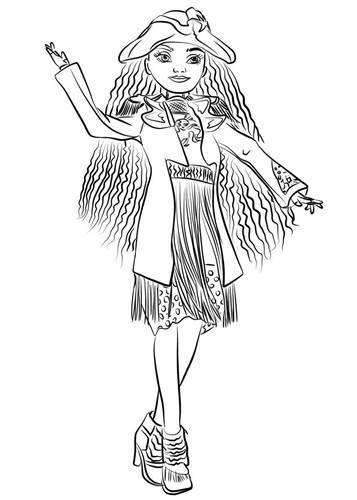 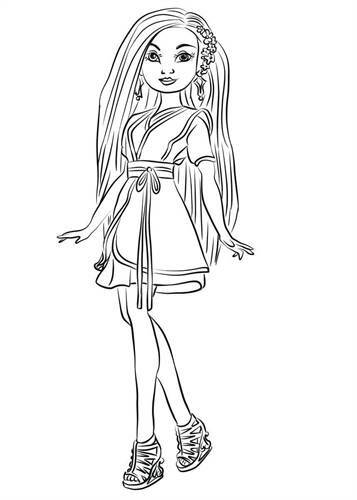 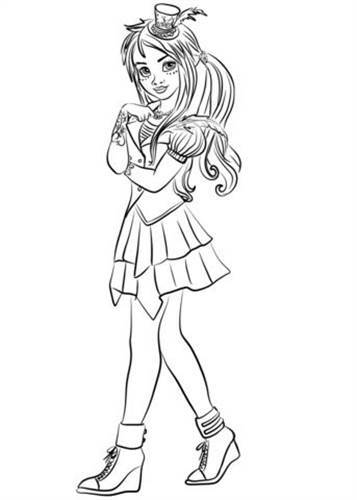 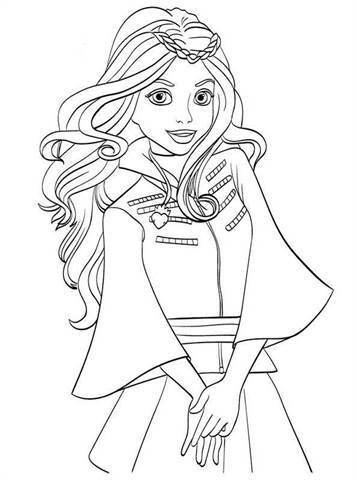 Coloring pages of the tv-serie Disney Descendants Wicked World. 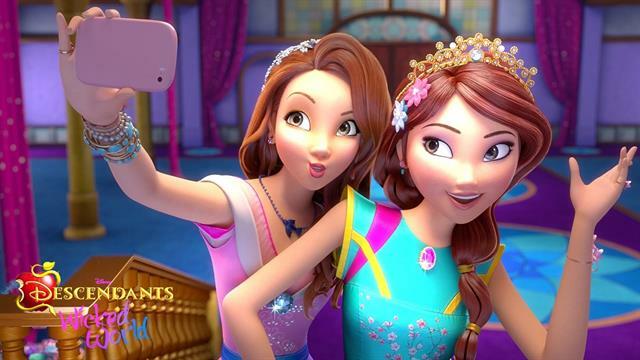 After Ben's coronation in Descendants, the villain kids Mal, Evie, Carlos and Jay settle in at being good while their villainous parents are still roaming the Isle of the Lost. 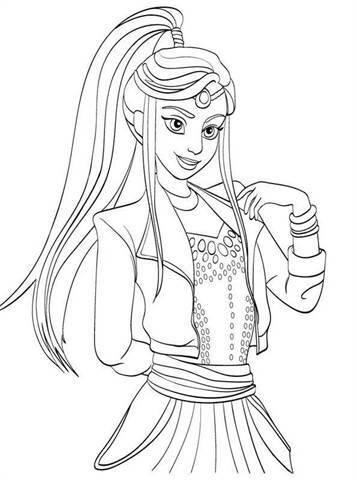 The story goes deeper at the arrival of new villain kids, Freddie (Dr. Facilier's daughter), CJ (Captain Hook's daughter) and Zevon (Yzma's son).